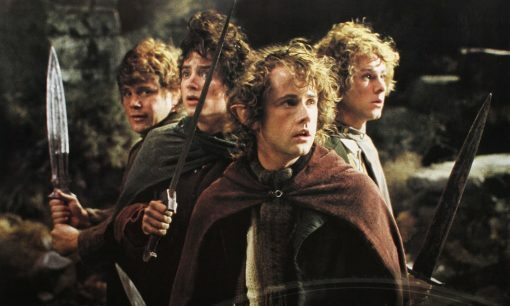 View movie page for The Fellowship of the Ring. Reviewer Fazio reluctantly acknowledges how impressed he is with The Fellowship of the Ring, from the script to Peter Jackson's attention to detail to the acting. Excerpt: "It's McKellen, with a voice that truly could summon forth the spirits, who provides the film with depth and gravitas. His is a mesmerizing performance, with Gandalf at times looking like the aged, weary man who knows his time is getting short, and then, like a cat, suddenly revealing a flash of vigor and ferocity, the fire that still burns within. Subtract this performance and you could lop one star off this review." A brief interview with Viggo regarding his immersion into the role of Aragorn, sword training and his "war wounds" from the filming. Viggo talks about preparing for and filming The Lord of the Rings. Excerpt: "I can say it, my conscience is clear," he says without a hint of vanity. "I did my best to study and find as much as I could. 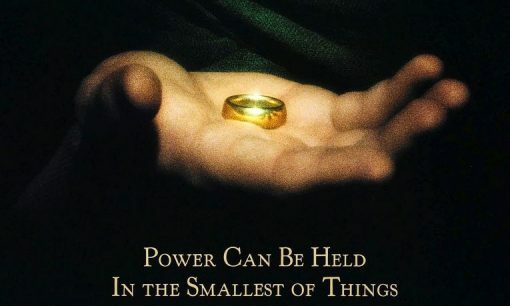 I read everything I could that was connected to Strider or Aragorn or his environment, to represent that character. I feel I did the best I could under the circumstances." Interview with Viggo Mortensen about his preparation and investment in the role of Aragorn for The Fellowship of the Ring and The Two Towers. He talks about the difference between the director's vision and Tolkien's: "The more I explored Tolkien, the more I felt I had two bosses: Tolkien and Peter Jackson. I tried my best to be loyal to both of them."